Hi, it’s Jean here from Turkey. It’s starting to get busy in resort now…there’s a lively night time atmosphere in Hisaronu – perfect for those who fancy partying the night away – while its more laid-back in Olu Deniz, a perfect place to enjoy a cocktail whilst watching the sunset and listening to live music. Our guests are loving the refurbishments to both the Forever and The Era Hotel, which took place in the winter. There have been lots of complimentary comments and the hotels are looking stunning in the Turkish sunshine! The Morina Hotel, with its mountain and sea views, is looking great too. It’s been great to welcome many of our regular guests again, but it’s always a pleasure to meet new visitors and welcome them into the ‘Friendship family’ for their first singles holiday! And it’s not just the new guests that we are welcoming this season. Friendship Travel has a couple of new hosts in resort – Hayley and Carron – who are already proving a big hit with the guests. One of the perks of being a Friendship Travel host is that we join the guests on excursions and nights out. This week it’s my turn to go on our ever-popular V.I.P. Sunday boat trip, a totally fun and relaxing day with stunning scenery and plenty of stops for a swim to cool off. There’s also a lovely lunch and yummy chocolate cake in the afternoon followed by, for many guests, a snooze! 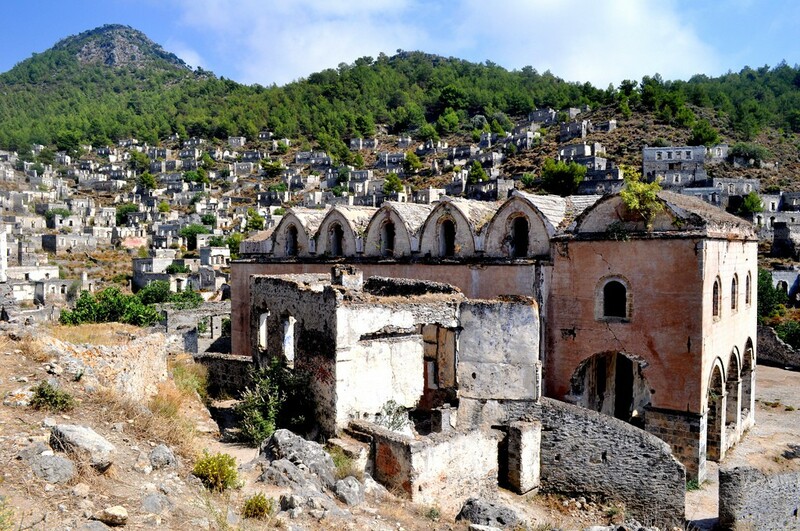 There’s also a trip to the ghost village of Kayakoy on Friday night, one of my favourites. There’s a stroll around the ruins followed by wine tasting and a lovely three-course meal in a beautiful setting. Still on the subject of excursions, Unspoilt Turkey, is proving to be one of our most popular trips so far this year. This takes in the breathtaking views of Olu Deniz and Butterfly Valley, with a stop at Faralya for Turkish cay (tea) and a chat with the locals. This is followed by a leisurely lunch at the Olive Gardens in Kabak, with plenty of time for relaxing around its pool and taking in the views. Finally, the weather here is glorious with lots of sunshine and blue skies! I look forward to sharing it with you all soon!